This is our sister companies own brand shower mixer valve, that they sell in large volumes to the trade. 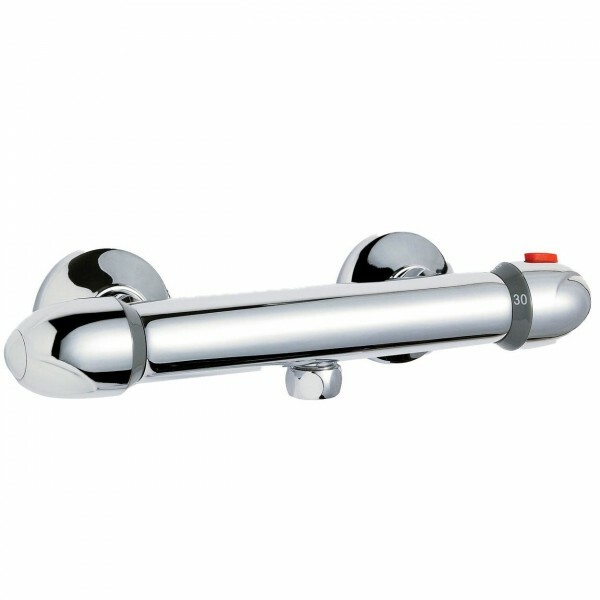 This enables us to offer this high quality Chrome on Full Brass body shower mixer at a very special price. 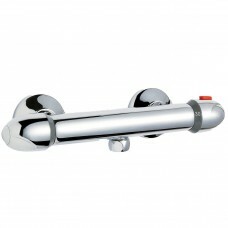 High quality chrome plated solid brass shower valve. Thermostatic control allows user to set required temperature allowing for constant temperature control. UK standard 1/2" connection outlets. GEM Taps and Showers. Use the brand the trade trust and use. 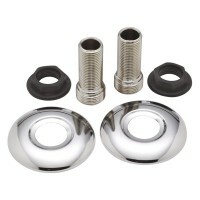 Straight Fittings and Cover Plate 3/4"-1/2"
As used by some manufacturers on shower valves when the cranked legs supplied ar..